afrol News - "Bullying China a threat to Africa"
"Bullying China a threat to Africa"
afrol News editorial, 12 October - China's culture of bullying in foreign relations, as viewed in actions against Asian neighbours, against nations having relations with Taiwan and against the host of the Nobel Committee, spells trouble for Africa, which gets steadily more dependent on Chinese funds. Chinese-African relations have exploded during the last decade, with enormous Chinese investments and non-conditional loans and a boom in trade. A large part of Africa's impressive growth since 2000 stems from larger Chinese involvement. Many African states have welcomed Chinese funds for more than economic reasons. Greater Chinese involvement signified greater political independence from the former colonial system and Western powers. Governments were again, for the first time since the fall of Communism, able to manoeuvre between two power blocks, seeking support for their own interest. Western overreaction against Robert Mugabe's Zimbabwe - compared to its silence on other repressive but allied regimes - and the economic straitjacket of Western-dominated IMF and World Bank had made Africa-Europe and Africa-US relations look like one of dependence and neo-colonialism. But will Africa-China relations be any better? Chinese foreign policies indicate that Beijing is even more difficult to depend on. China's culture of bullying is deep-rooted and the Beijing government has little inhibitions when it comes to put power behind its demands. 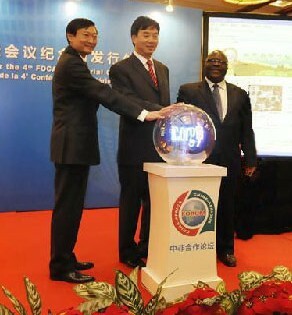 Interestingly, many bilateral ties between China and African nations only came about after political blackmailing. To see any Chinese investments, nations were forced to completely severe ties with Taiwan. One of the last nations to cut all relations with Taiwan was Malawi, in 2008. Since that, the government of President Bingu wa Mutharika has been given what he asked for, and in May this year, a Chinese representative could hand over Malawi's new parliament building to Mr Mutharika. The Chinese proudly was able to call Malawi's parliament "a monument to the China-Malawi friendship." Malawi's government, since 2008, has not uttered one critical word about China, in line with governments all over the continent. 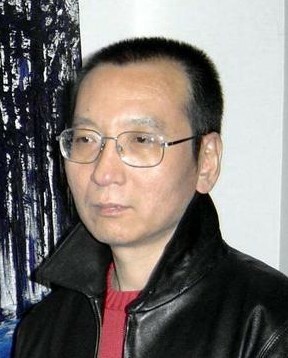 Typically, no prominent African politician has dared to congratulate Chinese dissident Liu Xiaobo with the 2010 Nobel Peace Price, strongly contrasting the long list of hailing messages to last year's laureate, Barack Obama. bo could provoke Chinese bullying. Norway, which hosts the Nobel Peace Prize Committee, is already being exposed to such bullying from the Beijing government. A Norwegian Minister, upon reaching China to negotiate a fisheries deal, was told that her two meetings were cancelled. Norway-China free trade negotiations are put on ice and a Norwegian opera, due to be performed in China in two weeks, has been ordered to stay at home. But the region really knowing and describing China as a bully is its Asian backyard, where Beijing insists on total respect for its new role as superpower. Most neighbouring countries feel more or less threatened by China. China, in an ownership dispute with Japan over some uninhabited islands, cancelled all political meetings and talks between the two neighbours. This week, Beijing went even further, issuing an embargo on the shipment of so-called "rare earth" metals to Japan. The 17 metals are almost exclusively produced in China and needed in Japan's electronics industry. Vietnam, Taiwan, Malaysia and the Philippines have also experienced Chinese gunboat diplomacy over disputed small island territories in the South China Sea. The ruling Chinese strategy in a conflict of interest is a combination of a military show-off, a diplomatic freeze and economic sanctions. These are the reactions from China towards nations not playing by Beijing's rules. The Asian examples and Norway are also nations with which China's relations are much more balanced than with African nations. African states are far more dependent on China than China on African nations. Therefore, Chinese bullying tactics against any African nations would be even tougher than what Asian nations and Norway have recently experienced. Therefore, African nations do not dare to protest any Chinese decree. One might ask what is worst when it comes to securing African independence. Africa's traditional underdog relations with the West, or Africa's new chequebook-or-sanctions relations with bullying China? The only sure thing is that, as dependency deepens, it will be ever more difficult for African governments to open their mouth on China or to get relations balanced. This is of course in line with Beijing neo-colonial tactics.